I can’t say I’m too surprised to hear of a policeman breaking the law he’s supposed to enforce, but I’m pretty made up that when he was caught in the act he took it on the chin. 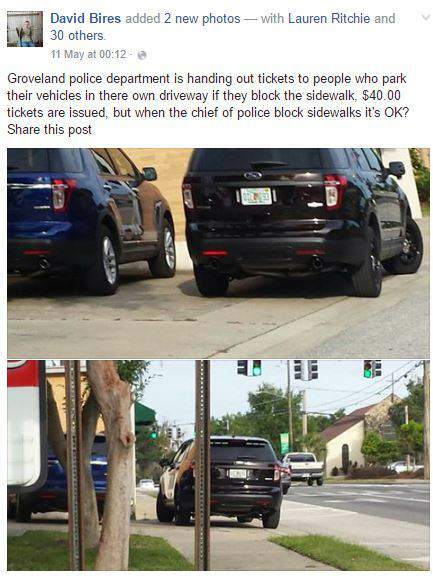 Over in Groveland, Florida, police issue out fines to anybody who parks on the sidewalk (or pavement for those of you in the UK), even if that person is parking in front of their own house. Apparently the fines can cost anywhere from $40 (£28) upwards, reports Mashable. 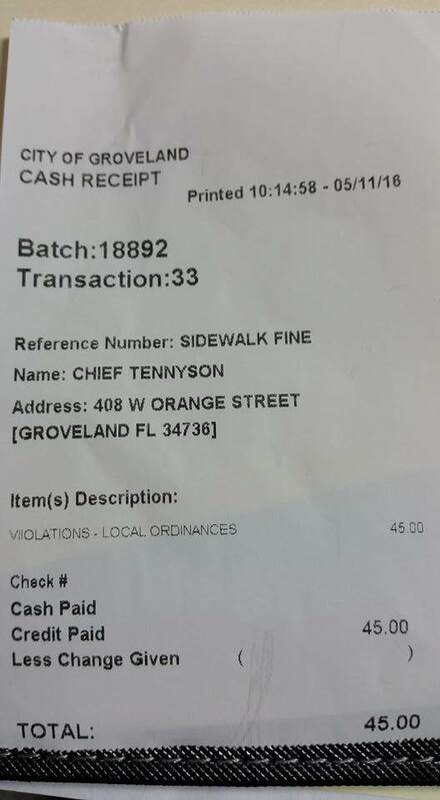 So what happened when this vigilante parking inspector caught out, not only a policeman, but the Chief of Police for Groveland doing just that – parking on the sidewalk in front of his house – and posted it all over Facebook? 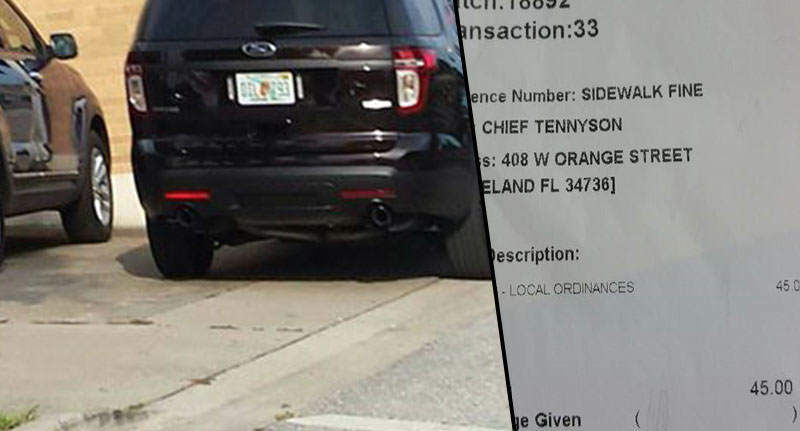 After taking the law into his own hands, and blatantly catching out the chief, the photo went viral, forcing the chief of police to respond. I guess he was kinda forced to pay the fine having been caught out like that but, but fair play to the chief for doing so without putting up too much of an argument.